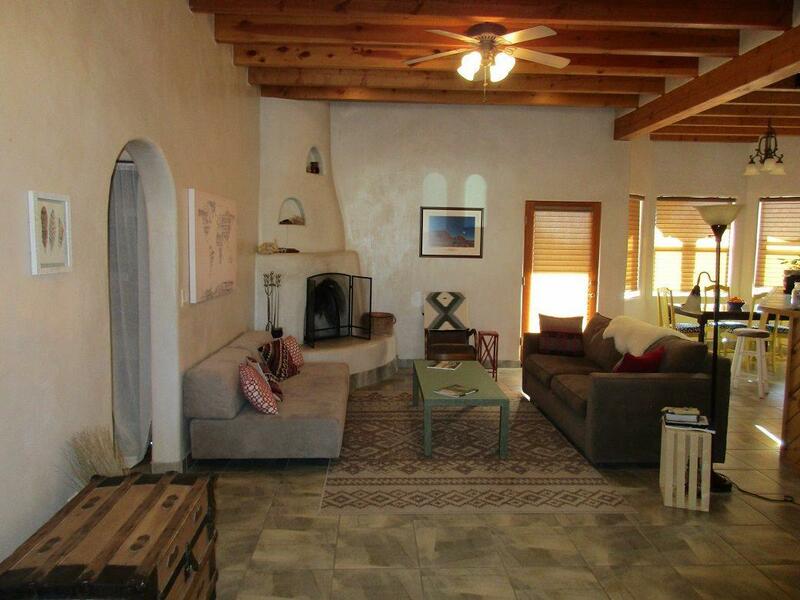 Affordable Arroyo Seco Gem! 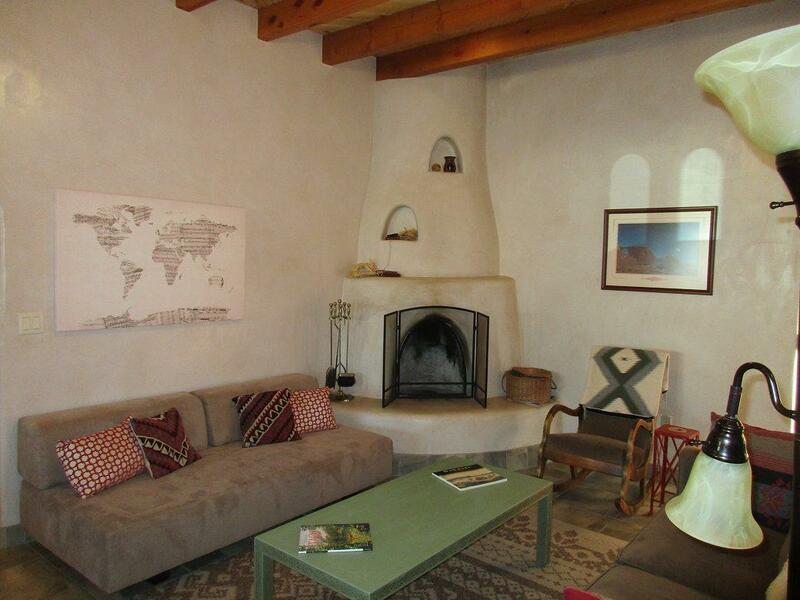 Set off Hwy 230 on the end of a private road this 4 bedroom, 2 bath home has views of El Salto, Taos Mountain along with our beautiful westerly sunsets. Live large in the great room floor plan with warming Kiva fireplace and 10- foot open beam, tongue and groove ceilings plus, 15-inch ceramic tile floors and smooth diamond-finish plaster. Main Living area flows into the sky-lighted, generous kitchen which incorporates a broad breakfast bar, charming dining nook with bay windows, spacious custom cabinetry, walk in pantry, and abundant counter space. Intimate master bedroom has capacious en-suite bath with jacuzzi tub, his and her closet spaces, walk-in shower, dual sinks, and elevated glass block privacy window admitting light. Cute bedrooms 2 and 3 alcove on either side of bath 2, perfect for children or guests. Laundry-Mud room with 1/2 bath and hall storage closet leads to 2 car garage. Exterior has welcoming front and relaxing rear covered portals with ample space for entertainment. Open palate property has plenty of room for RV, animals, gardening, and mini farm. Additionally, new exterior stucco and warrantied roof in 2018 convey sound and secure! 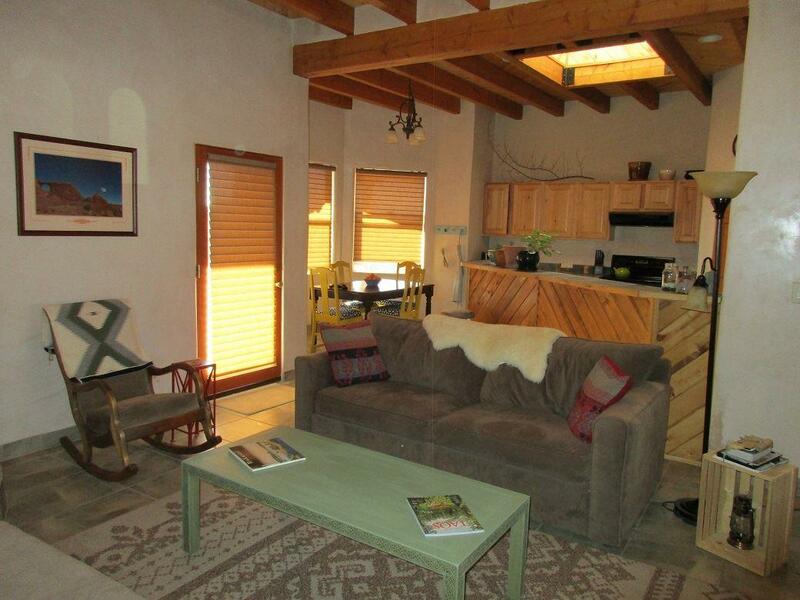 Just 15 minutes to both Taos Plaza and Taos Ski Valley. 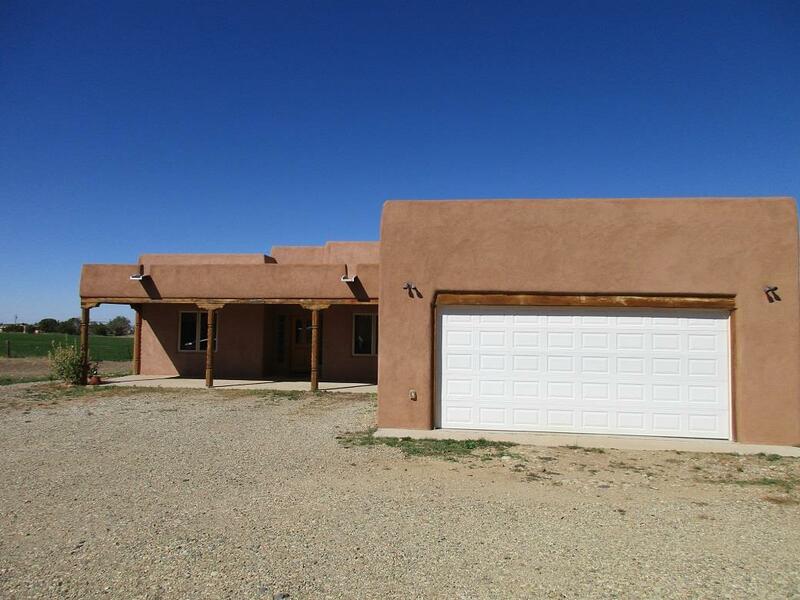 Listing provided courtesy of Vaughn Dearing Real Estate: 575-776-8382.